Sermon preached on Matthew 5:21-26 by Rev. 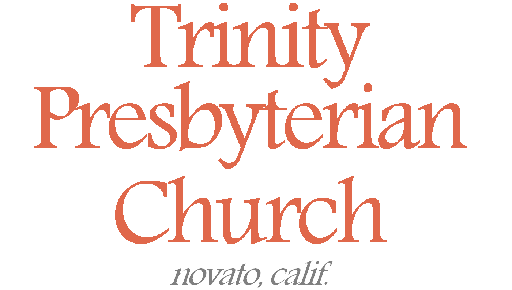 W. Reid Hankins during the Morning Worship Service at Trinity Presbyterian Church (OPC) on 4/13/2014 in Novato, CA. Today we delve into the first of six examples that Jesus raises where he describes how his standard of righteousness far exceeds the standards held by the scribes and Pharisees. Remember, we said last week that verse 20 of this chapter becomes a theme verse for much of the rest of the Sermon on the Mount. And so here we can see Jesus’ understanding on the Bible’s prohibition on murder. For Jesus it is not a simplistic understanding. It has ramifications that negatively forbid many things and positively require many duties. So, then, we see Jesus start this off in verse 21, “You have heard that it was said to those of old, ‘You shall not murder, and whoever murders will be in danger of the judgment.” What’s interesting about the way Jesus starts this off, is that the first part of what he quotes of this teaching of old is Scripture. “You shall not murder” is the sixth commandment. And even the rest about being liable to judgment, though it is not a direct quote of Scripture, it certainly is similar to what a few other Old Testament passages teach — see Genesis 9:5-6 and Numbers 35:12. But Jesus doesn’t credit this to Moses nor does he even call it Scripture. And so I said it last week, and I’ll say it again: we should not see Jesus here as pitting his view of righteousness against the Old Testament’s teachings on righteousness. Rather it seems that Jesus is pitting his understanding of the Old Testament’s teachings on righteousness against the faulty interpretations of the scribes and Pharisees based on their interpretations handed down in tradition. That seems the best way to understand this for these reasons: One,since Jesus doesn’t explicitly emphasize that he is combating Scripture here; two, that some of these quotes he addresses are not all quotes from Scripture, such as the last part of verse 21; three, because of verse 20 which set the context of critiquing the scribes and Pharisees; and four, because we’ll see that for each of the six sayings he seems to be critiquing a minimalist approach to the letter of the law, and trying instead to bring out the spirit and heart of the law. This will become more clear as we look specifically at this first saying under review today. We’ll see Jesus consider the right way to apply the sixth commandment: that the command to not murder forbids various other sins, and it requires other godly duties. And Jesus will then talk about the serious nature of the liability for judgment that one gets when they do break these. In other words, when Jesus thinks about a commandment like “You shall not murder,” Jesus is saying that we should not approach that in some minimalist way. We can’t just say that if we don’t commit the actual physical act of an unjustified killing of someone, then you have met the demand of that command. Jesus instead says that each such commandment should be applied in a maximal way. That each such command implies certain sins that are forbidden and certain duties that are required, beyond the most simple literal thing commanded. When you study the Westminster Larger and Shorter Catechisms when they go through the Ten Commandment, you see that they take this approach. So then, I’d like to see how Jesus does this today with the sixth commandment. To clarify, Jesus doesn’t do this exhaustively. He doesn’t tell us every sin that is forbidden by the sixth commandment and every duty required by it. But he does give us some examples of each. I want us to study and consider each. So then let’s begin today by considering which sins Jesus says are forbidden by the sixth commandment. To start, the obvious one is the unjust killing of humans. I say unjust, because after Exodus gives the sixth commandment, it goes on to talk about things like capital punishment which would be a just taking of human life. Nor is this at all about the killing of animals, despite what some vegetarians may want you to believe. This most specifically forbids the unjust taking of human life. That’s the letter of the law. But Jesus says the spirit of the law goes beyond that. Two more things especially are noted by Jesus by way of example. Jesus’ standard of righteousness forbids unjustified anger and forbids evil speech. This is all part of the spirit of the law with regard to murder and such interactions with our neighbor. Let’s consider first unjustified anger. This is verse 22. Just having unjustified anger against someone is sinful. That’s some difficult teaching because it really can expose the sinfulness of our hearts. Too often our culture wants to make a person’s feelings as something morally neutral; as something to explore and consider, but not necessarily inherently wrong. But the Bible teaches otherwise. Anger is a powerful emotion. It can be used for great good. But when we find anger whelming up inside us against our neighbor, we have to ask ourselves if we are right to be angry. That’s the question that God essentially asked to both Cain and Jonah who under different circumstances were angry for unrighteous reasons. Jesus says we can’t just not physically murder someone and say that we are righteous. We have to ask what our heart is doing toward that person. Any unwarranted anger against them is sin against them in a way that can be akin to spiritual murder of them in our hearts. Let’s consider next evil speech. Jesus says in verse 22 that if someone insults someone by calling them “raca” or “fool” then they are sinning. Raca is a Greek word that is similar to fool as well. Fool, moron, stupid, these are synonyms for these two words of insult in the Greek in verse 22. Now to clarify, Jesus is not forbidding speaking the truth in love. Sometimes you have to lovingly confront someone and tell them something they don’t want to hear. You might even have to lovingly confront someone and tell them that they’ve been acting foolish. But Jesus is talking about our evil speech. Speech that is untrue about someone, or just being hurtful to hurt them, these things are wrong. They are somewhat akin to murder. Jesus thinks about them all under the same subject. Again, we can go to the heart here. When we call someone fool, it’s probably stemming from a hear that has dismissive contempt for your neighbor. But this prohibition on evil speech reminds us that even if we pass the test when examining our anger and find that it is justified (which is probably rare, by the way), we still have to ask if we are expressing our anger in a right way. Speaking in an evil way to people, even if you had justified anger, is also wrong, and inherently forbidden in the idea of you shall not murder. And so here are some examples by Jesus of how the prohibition against murder should not be understood in a very narrow way, if you want to talk about divine righteousness. Rather it drives us to other related prohibitions, with these example of unjustified anger and evil speech. Let’s turn now to consider what duties are required within the sixth commandment. In other words, if you shouldn’t murder, what should you do instead? Well, Jesus again does not answer that exhaustively, but he does give one example. We need to seek reconciliation with our neighbors. If you shall not murder implies that we also should not have unjustified anger and evil speech against our neighbor, then the positive implication is that we should be peacemakers with those we are in conflict with. This is verses 23-26. It envisions that you are someone going to worship God and you realize that someone has something against you. You should then stop giving your offering, and go and first be reconciled to them. A few weeks back, when we looked at the beatitude of “Blessed are the peacemakers,” we talked a decent bit about pursuing reconciliation. I won’t delve into all that again, but I will briefly remind you that we talked of some important principles. For example, we talked about when it was appropriate to overlook a matter; of times when you need to walk through the steps of Matthew 18 with a neighbor, and how as much as it depends on you, to pursue peace with others. It’s interesting that when it talks about this reconciliation, it’s put in terms that assume our own guilt. Verse 23 says that if your brother has something against you — make the priority to go and make peace with them, lest your adversary brings you to the judge and you are found guilty and get thrown in jail. This probably helps to further explain the idea here of leaving your gift at the altar. Let me explain. You might remember that in the Old Testament sometimes the prophets would tell the people that God was sick of their offerings. He was sick of the gifts they were bringing to the temple in worship. Time and again that’s because what was happening is that rich people were committing fraud or other crimes against the poor people, and then think they could just go to the temple afterwards and give a offering and be forgiven. The prophets even put this in murderous terms sometimes; that they likened this treachery of the people as murderous. Christians today can be guilty of this too, that we sin against someone, and think we can just say a prayer to Christ for forgiveness and grace, and leave it at that. But Jesus says true righteousness is far more demanding than that. And so if you have sinned against someone, you’ve probably already acted murderously toward them. But if you are going to go to church and seek God to forgive you, then you will show that you are actually truly repentant if you go and look to be reconciled with them first. Then come and bring your gift to God. This seems somewhat similar as well to partaking of the Lord’s Supper. It’s part of that examination process where we seek if we have some unresolved sin that we need to repent of. We should ask what repentance from that sin looks like and make that a priority, lest we eat and drink judgment upon ourselves. So then, Jesus says this is part of the duty required by the sixth commandment. It involves not just causing injury to others; it involves looking to repair the injuries you’ve done to others as well. So then, I want to turn now to a final major point Jesus makes here. Jesus not only addresses the scope of the sixth commandment. He also addresses the issue of being under judgment for breaking of this command. Remember, in verse 21, that’s how he started out. He was dealing in part with that quote about being in danger of judgment. Again, we said there were Old Testament principles that mention a similar language. Well, evidently Jesus wants to make sure people understand how serious this judgment really is. If the scribes and Pharisees had lessened this, then Jesus is correcting them here. Jesus mentions the liability of judgment incurred for breaking this command three times, in three different ways. And the ways he mentions seem to escalate in terms of terribleness. First, he reaffirms the liability to judgment. That’s the first part of verse 22. Then the verse continues and mentions that you can be liable to the Sanhedrin. That was the top court of the Jews. Then at the end of that verse he mentions that if you break this command you can be liable to the fires of hell, literally the gehenna of fire. But again, Jesus point here, is that if you were a Pharisee at that time, you probably had dismissed that judgment. You probably had said, “Well, I’ve never physically murdered anyone, so I am not in danger of such judgment.” But Jesus point is that even these things which are not physical murder but in some sense akin to it — that these are also going to make you guilty. They make you guilty in general, and should make you guilty even before men, but especially before God. That you are in danger of being condemned to the fires of hell. My friends, if you hear Jesus teaching on this fifth commandment, and instantly begin to justify in your mind how you somehow are excused from this list of other ways we can break the commandment to not murder, then I fear you’ve missed the point for today. Jesus’ teachings here on murder and our relationship with others should make us all feel at least a bit “singed” today. This teaching should make us all realize that on our own record of righteousness, we have become liable to the fires of hell. That unless there is a way of salvation, we will all be thrown into a prison of hell, a prison of torment and fire, until we can pay the last penny, and that is something that none of us could pay off. And yet here is again when we exalt Jesus Christ. He is our salvation. We haven’t had a righteousness that sufficiently exceeds that of the scribes and Pharisees. But he has. Think about how he has saved us, even in terms of his righteousness that he describes here. He is the one who endured the evil speech of insults by his opponents. He endured all their unjustified anger. They wronged him, and would not be reconciled to him. In fact they took him to court and in a corrupt court found him guilty, when it was really the other way around. Ultimately, he was unjustly killed; murdered. All this, he did without giving revile in return. All this, he did in order to reconcile us to God. Hopefully you see the point here. All the evils and sins mentioned here. Jesus bore them from humans, even to the cross. He took on man’s sins, all their unrighteousness, all the ways they broke the sixth commandment; he took them all on, even to the death. Simultaneously he did not do those things forbidden by the sixth commandment. Instead he worked to be reconciled with those that he actually had something against. He became then the gift at the altar to bring about our reconciliation even, laying down his life for us! But that was all his great love shown toward us who were sinners. Christ lived out all perfect righteousness, and bore all our sins, by going to the cross. And so, that’s how we can be saved. This was Christ acting as a mediator to bring about a reconciliation between us and God so that we wouldn’t be thrown into gehenna prison forever! Because we could never “pay the last penny” when it came to our debt with God. But Jesus paid it for us. He did not seek our death, but our life; our eternal life. That’s his love and grace. If you are have turned from your life of unrighteousness and put your faith in this grace of Christ, then you are saved. You then are no longer in danger of the judgment. Praise be to God! So then, brothers and sisters who have been saved in Christ: It would be easy then at this point to say: Okay, then, as a Christian, I’m forgiven. I’m forgiven of all the other ways I break the sixth commandment, and then not take our sin of unjustified anger or careless insults or hurtful speech in a very serious way. We could then continue to approach these sins as how the Pharisees surely approached them. As something so much less. As something that is not really that big of a deal. Frankly, we probably have that attitude because we commit them a lot and want to excuse ourselves as not being that bad. And yet Jesus says his kingdom ethics put them in the category of thou shall not murder. That’s the heading he decided to talk about them under. That there is a way we can commit murder in our hearts or words, so to speak. And so, Jesus’ teachings here should heighten our understanding of the evil of these sins. It should not lessen our perspective of how evil these sins are. In other words, being forgiven so wonderfully in Christ should not serve to lessen our hatred for these kind of sins. Rather it should serve to strengthen our hatred of them. Think of what Christ had to endure for us, because of them. Because we were guilty of breaking the sixth commandment in so many ways, Jesus had to suffer all that he did. So then, if we think like Christ about these kinds of sins and our duty to prioritize reconciliation — especially when we wrong someone, then I hope we all feel some healthy conviction right now. I don’t mean to leave you today with a guilt trip. Christ has set us free from such guilt. But I do want to admonish us to see how serious our anger and words toward others can be. And how serious of a matter it is when we are living in unresolved conflict with someone else. To the degree that we are guilty in such relationships — and don’t dismiss yourself too quickly — to the degree that we are guilty in such relations, let us then flee again to the cross of Jesus Christ, and know that we are forgiven. But if we flee to that sacrifice, let us remember that we ought to then prioritize real repentance. Going to others and making things right. Really throwing out unjustified anger. Stop saying or thinking evil things of others. This is not to earn your way into heaven. Don’t be a Pharisee. But as those who’ve come into Christ’s kingdom by faith — this is the righteousness of Christ’s kingdom. Seek such righteousness then. Pray for the grace to really have the change of heart needed in such areas. Pray that God would be glorified as you seek to live this out. What a wonderful testimony of God’s work in your life — something people can readily see — in how you really endeavor to treat them with love and with positive words and thoughts, because you know Christ. Because Christ who loves perfectly has loved you and lives inside your heart. Amen.